The BHS Testing Center was established in order to provide students with a universally designed testing environment that supports the accommodation needs of all learners. All BHS students may use the testing center during their regular class periods for the proctoring of tests and quizzes. The Testing Center staff will provide any accommodations specified on student 504 plans, IEP’s or health/medical plans. Any other accommodations must be offered by the teacher. All tests require a Testing Center Ticket via the Google Form link below. Who may access the Testing Center? What are the Testing Center hours? During the school year from 8:00 – 3:05 on Regular Days and until 2:35 on Block Days. What are the general rules for using the Testing Center? Once a student begins a test, they must finish it. 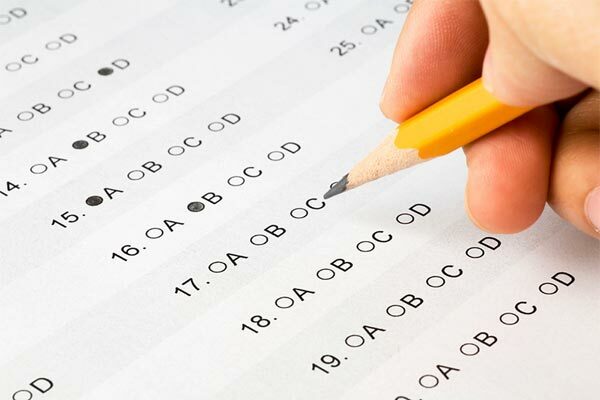 Testing center proctors will not allow students to continue working on a test once they have seen the test. No notes or note cards may be used on a test without teacher approval. Even if it is a formal accommodation, the teacher must approve notes/note cards prior to the exam. Any student that feels they may need additional time AND if permitted by the teacher, the student may be able to take the test 1 page at a time. This accommodation must be arranged PRIOR to starting your test. No cell phones or electronic devices, earbuds of any kind may be used during any test. All student electronic devices must be stored in student backpacks. Backpacks will be placed away from student test areas. Calculators and scratch paper can be provided, if allowed. Talking and disruptive behaviors will not be tolerated. Students who do not follow the directions will be asked to leave and may forfeit their ability to finish the test. The BHS academic integrity policy will be enforced. Absolutely no cheating allowed. The general education teacher enters a Test Center Ticket using the Google Form. It is always better to over-explain and be specific rather than leave the Test Center staff guessing. All tests need to be delivered by the general education teacher to any M5 staff member ahead of time. The test will be returned to the general ed teacher based on what is written on the Test Center Ticket. The staff member in the test center that receives the test will place the test in the proper place for testers of that period. Test Center staff will check the Ticket spreadsheet each day to review the directions for their testers. They will oversee and administer the test based on the directions given from the general education teacher as written in the ticket. They will properly supervise the student while taking the test and immediately report any situations or irregularities that occur to the general education teacher issuing the test.